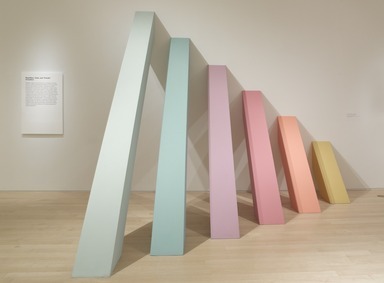 Before gaining international attention for her monumental feminist artwork The Dinner Party (1975–79), Judy Chicago (American, b. 1939) was already a nationally recognized artist and a major force in the burgeoning Los Angeles art scene. Through more than a decade of artistic activity, Chicago pushed against unexamined traditions wherever she found them, experimenting with new materials and techniques for art-making; developing alternative studio and exhibition spaces and pedagogical practices; and expanding the topics that serious art could tackle. 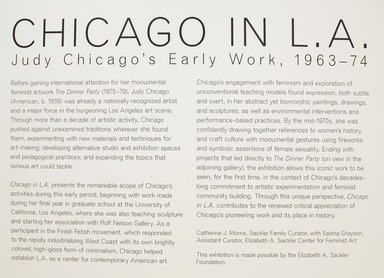 Chicago in L.A. presents the remarkable scope of Chicago’s activities during this early period, beginning with work made during her final year in graduate school at the University of California, Los Angeles, where she was also teaching sculpture and starting her association with Rolf Nelson Gallery. 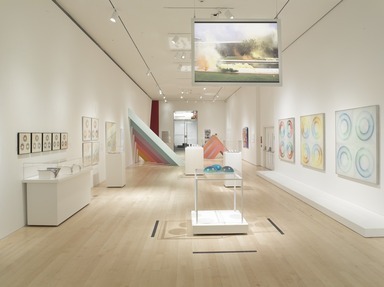 As a participant in the Finish Fetish movement, which responded to the rapidly industrializing West Coast with its own brightly colored, high-gloss form of minimalism, Chicago helped establish L.A. as a center for contemporary American art. Chicago’s engagement with feminism and exploration of unconventional teaching models found expression, both subtle and overt, in her abstract yet biomorphic paintings, drawings, and sculptures, as well as environmental interventions and performance-based practices. By the mid-1970s, she was confidently drawing together references to women’s history and craft culture with monumental gestures using fireworks and symbolic assertions of female sexuality. Ending with projects that led directly to The Dinner Party (on view in the adjoining gallery), the exhibition allows this iconic work to be seen, for the first time, in the context of Chicago’s decades-long commitment to artistic experimentation and feminist community building. 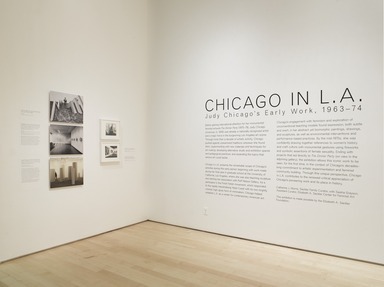 Through this unique perspective, Chicago in L.A. contributes to the renewed critical appreciation of Chicago’s pioneering work and its place in history. April 1, 2014 To celebrate her seventy-fifth birthday, artist Judy Chicago will create A Butterfly for Brooklyn, a monumental pyrotechnic performance piece drawing inspiration from her earliest explorations of feminist imagery, in Brooklyn’s Prospect Park on Saturday, April 26, at 7:30 p.m. The site-specific work, measuring approximately 200 feet wide by 180 feet high, will appear to levitate, swirl, and move. 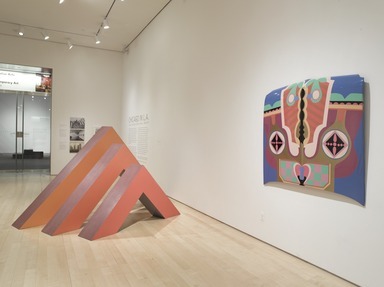 Presented by the Elizabeth A. Sackler Center for Feminist Art at the Brooklyn Museum in partnership with the Prospect Park Alliance, the project is an outdoor component of the exhibition Chicago in L. A.: Judy Chicago’s Early Work, 1963–74, on view in the Sackler Center at the Museum from April 4 through September 28. A Butterfly for Brooklyn will transform the imagery Chicago used most famously in her iconic installation, The Dinner Party, into a twenty-minute fusion of color and dazzling visual effects on the Long Meadow of Prospect Park. This program is organized by Catherine J. Morris, Sackler Family Curator, with Jess Wilcox, Programs Coordinator, Elizabeth A. Sackler Center for Feminist Art. Major support was provided by Barbara and Eric Dobkin. Additional support provided by The Philip and Muriel Berman Foundation and by Barbara Lee. 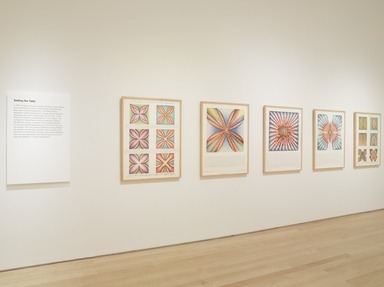 Recent pyrotechnic performances by Judy Chicago were presented in California as a part of the J. Paul Getty Museum’s critically acclaimed 2011–12 curatorial initiative Pacific Standard Time. These recent fireworks pieces were inspired by an increasingly complex series of works called Atmospheres that Chicago created in various West Coast locales between 1968 and 1974. Working with a small team of friends, she transformed beaches, parks, forests, deserts, construction sites, and museums with whirling plumes of brilliant color. 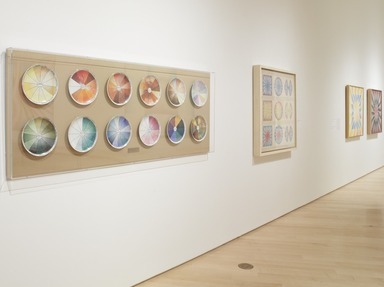 The series grew out of the artist’s ongoing research into color relationships during this period—one of the themes in her latest exhibition at the Brooklyn Museum. 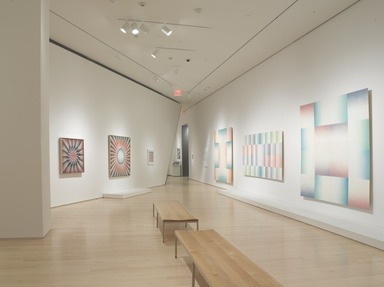 Chicago in L.A.: Judy Chicago’s Early Work, 1963–74, the first survey on the East Coast of the artist’s early career, contextualizes Chicago’s work within the broader production of minimalism and conceptualism at the time, and continues the reappraisal of the artist’s importance as a pioneer in the California art scene. 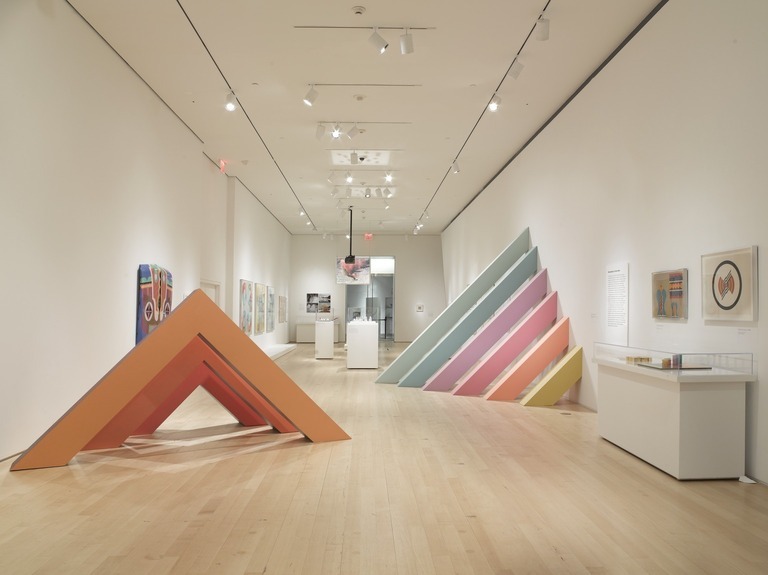 It brings together more than fifty-five objects, featuring Chicago’s minimalist sculpture alongside her Female Rejection Series, her large-scale paintings, and documentation of her environments and performances. 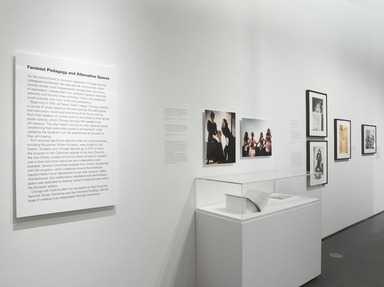 The Dinner Party, on permanent view at the Brooklyn Museum, was a gift to the Museum from the Elizabeth A. Sackler Foundation in 2003 and installed in the Elizabeth A. Sackler Center for Feminist Art when it first opened in March 2007. The installation honors the achievements of women over the millennia by featuring craft forms that until recently were not considered part of the fine arts. Each of the thirty-nine table settings, resting on elaborately embroidered runners, is unique to the woman whose life it honors and includes a hand-painted china plate, ceramic flatware and chalice, and a napkin with an embroidered gold edge. 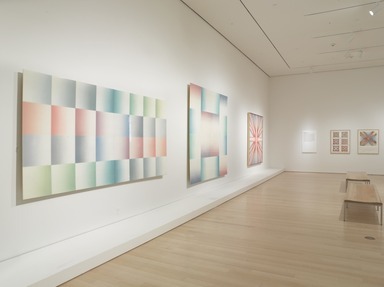 December 1, 2013 Chicago in L.A.: Judy Chicago’s Early Work 1963–74, the first survey on the East Coast of the artist’s early career, will be on view at the Brooklyn Museum from April 4 through September 28, 2014. 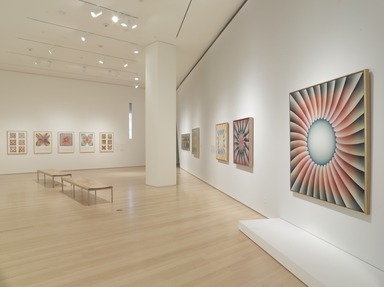 The exhibition places this early material within the arc of Chicago’s broader production and continues the reappraisal of the artist’s importance as a pioneer in the California art scene. 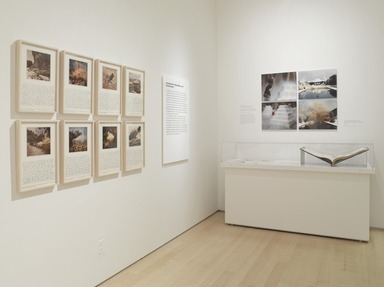 It brings together more than fifty-five objects, featuring Chicago’s Minimalist sculpture alongside her Female Rejection Series, her large-scale paintings, and documentation of her environments and performances. Approaching her seventy-fifth birthday, Chicago is internationally recognized as one of the leading figures in feminist art. 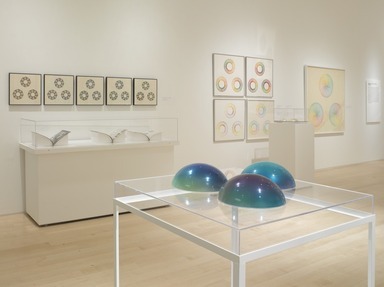 This exhibition focuses on the first decade of her career, surveying the less familiar but significant work produced when she lived in Los Angeles. While there, she was a participant in the Finish Fetish School, which responded to the rapid post–World War II industrialization of the West Coast with its own brightly colored, high-gloss form of Minimalism. 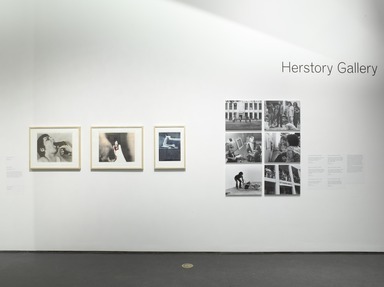 Through Chicago in L.A., audiences will become familiar with the first stages of Chicago’s feminist practice, as well as her early twists on such traditionally masculine techniques as welding, car painting, and pyrotechnics. On view will be her Minimalist sculpture Rainbow Pickett, made from monochrome-painted canvas stretched over plywood frames. Rainbow Pickett was created for Chicago’s first solo gallery show, held at the Rolf Nelson Gallery in Los Angeles in January 1966, and was also included in the important exhibition Primary Structures at the Jewish Museum in the fall of that year. Also included will be Heaven Is for White Men Only. Made with sprayed acrylic lacquer, a material typically used for decorating cars, this piece engages with color theory and traditionally male domains—automotive and mechanical work. Born in 1939 as Judith Cohen in Chicago, Illinois, the artist took the name of her hometown as her surname following the deaths of her father and first husband. 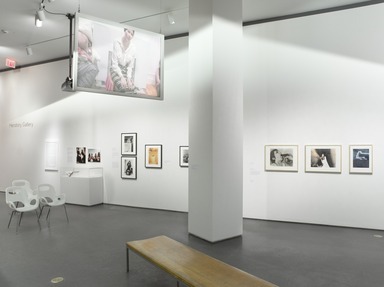 Chicago’s iconic The Dinner Party, begun forty years ago this year, is housed at the Elizabeth A. Sackler Center for Feminist Art at the Brooklyn Museum and is widely regarded as the first epic feminist artwork. The monumental installation features thirty-nine elaborate place settings, on a large triangular table, that represent a wide range of historically significant women, including Virginia Woolf, Susan B. Anthony, Sojourner Truth, and Eleanor of Aquitaine. 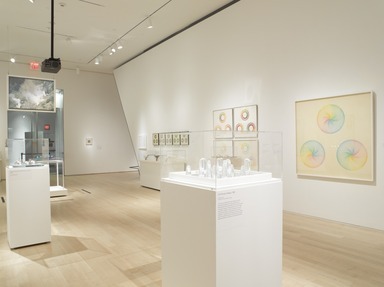 Illuminating the beginning of Chicago’s five-decade career, Chicago in L.A. contextualizes the iconic The Dinner Party as a work that emerged from decades of artistic experimentation, theoretical exploration, and feminist community building. 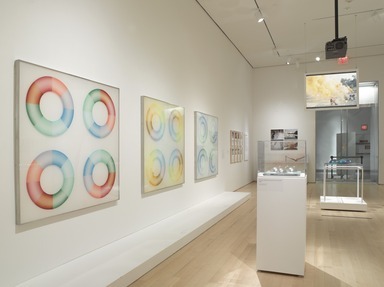 Judy Chicago is well known as one of the leading figures in promoting and articulating a feminist approach to art-making. She pioneered feminist art and art education in the early 1970s through unique programs for women at California State University-Fresno and, later (with Miriam Schapiro), at the California Institute of the Arts. Chicago is the recipient of numerous grants, awards, and honorary degrees from prestigious colleges and universities, and her work is in the collections of numerous museums, including the British Museum; Brooklyn Museum; Getty Trust; Los Angeles County Museum of Art; Museum of Fine Arts, Santa Fe; National Museum of Women in the Arts; Pennsylvania Academy of the Fine Arts; and San Francisco Museum of Modern Art. Chicago in L.A. is organized by Catherine Morris, Sackler Family Curator of the Elizabeth A. Sackler Center for Feminist Art, Brooklyn Museum. This exhibition has been made possible by the Elizabeth A. Sackler Foundation.